The wet weather that hit on the Saturday of the Australian Grand Prix was incredible, and reminded me of when I presented the BBC coverage in Japan in 2010. The difference between the two being that no cars went out on track that Saturday three years ago and that the Sunday in Japan turned out to be lovely weather. Australia went from factor 30 to ski jackets in a matter of hours on Saturday. In the morning it had been very hot and although rain had been predicted, no one imagined it would get as cold or stormy and cause as much chaos. Ultimately Q2 and Q3 had to be postponed until Sunday morning such was the volume of water that fell on Albert Park on Saturday afternoon. With the rain battering against my window throughout Saturday night I wasnâ€™t even convinced that Sunday would go ahead as planned. It did go as planned, although there was a twist that made journalists and fans breathe a collective sigh of reliefâ€¦ Red Bull and Sebastian Vettel didnâ€™t win. The idea that panic can set in after just three practice sessions and qualifying might seem a little over the top, but that was the mood in the paddock up until the race. As an interviewer there are certain questions and topics that have cropped up far too early over the last few seasons. One being Vettelâ€™s title chances â€“ â€œSebastian, are you convinced/concerned about retaining your title after three days of the season?â€� Another one I hate is: â€œFelipe Massa, I know youâ€™ve not driven a race this season yet, but are you worried about losing your Ferrari seat this year?â€� At least Felipe looks stronger this season even if Alonso did finish in front of him in the race thanks to some Ferrari â€˜magicâ€™. The result will no doubt keep the Ferrari bosses happy. I am lucky to have a good relationship with most of the drivers and I worked with many of them as we all fought our way into F1, albeit doing very different jobs. I will never shy away from asking questions, although sometimes it doesnâ€™t make you feel too good if you have to constantly ask someone about crashing or losing their drive. Or, for that matter, reminding Mark Webber that heâ€™s never been on the podium at his home Grand Prix or asking Jenson just how bad the McLaren is. On the Sunday morning after qualifying I stomped back to my boss saying that my days of interviewing Kimi RÃ¤ikkÃ¶nen were over. I am up for someone being quirky and different, and I have actually always enjoyed interviewing the monosyllabic Finn, but at the end of last season it was becoming ridiculous, pre-season testing wasnâ€™t any better and after qualifying I honestly couldnâ€™t hear or make one word out of what he was saying. 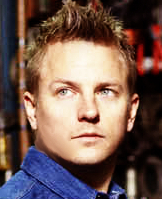 He could have announced his retirement and I would have said, â€œOK, thanks Kimi, good luck in the raceâ€�. I think I got to lap 38 when I went onto BBC talkback, the system that we use to communicate with our bosses in the TV gallery, and retracted my earlier statement. Was it a great winning driver interview? It wasnâ€™t the best, although Kimi did speak legibly, answered every question well and even had a little laugh although Iâ€™m not sure why, which is slightly worrying! Iâ€™d better watch it back in case I did miss something. When the top three drivers came in to be interviewed by me it struck me as a big moment, not a unique one, as Abu Dhabi 2012 was the same, but I feel the Australian GP podium is one that featured the men we will focus on most this year. They have six World Championships between them and they were the top three drivers in the 2012 World Championship. All of them could realistically add to their collection in eight months time. Last week everything was possible, now itâ€™s time to get realistic and already after one race some drivers will be feeling disillusioned, even if they are determined to solve problems and get back to winning races or scoring points. The season is starting to take shape, a story is beginning to emerge and in five days time the picture will start to reveal itself a little more. Was Fernando Alonso or Kimi Raikkonen fastest in Melbourne? 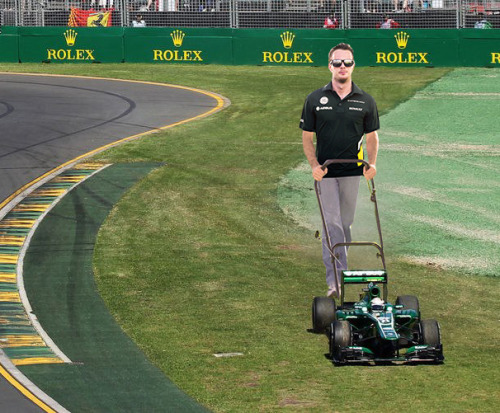 The Australian Grand Prix was a confusing weekend in terms of trying to understand the real competitive order in Formula 1. The mixed weather meant there was no clean run into qualifying - in fact the only dry qualifying laps were at the very end of the top-10 shoot-out. And when there are varying strategies, as there were in Melbourne, race results are not necessarily a reflection of absolute pace either. So I have spent some time doing a bit of number crunching to try to understand which teams are genuinely competitive, and who lucked into a good result. It is always difficult to really understand what happened when there is a difference in pit strategy. So to try to dig down into the truth, I have removed the pit stops themselves from the equation, leaving just the laps driven out on the circuit. To do this I have taken the in-lap as the same time as the previous lap and the out-lap as the first timed lap after the stop. This eliminates any real difference in strategy and any problems during the stop itself and gives a truer picture of the real race pace of each car and driver. I've removed the grid offset - so, in other words, all the cars started the race from the same grid position. And I have removed the last two laps, as this can skew the result because different drivers back off to different levels depending on track position relative to other cars. The first thing to strike you is that the calculation produces a different winner - Ferrari's Fernando Alonso rather than Lotus's Kimi Raikkonen . This might suggest that Raikkonen won only because he did a two-stop strategy compared to Alonso's three. But there are a couple of reasons to believe this is not the case, and that Raikkonen would have won no matter what. First of all, the winning margin given to Alonso by the calculation is quite small at 6.175 seconds. Averaged over my modified 56-lap race that equates to just 0.11secs per lap. Doing one more stop would have meant that Alonso could abuse his tyres more, so the difference in pace should really be bigger than it is when you consider the tyre degradation that Raikkonen should have suffered with his two-stop strategy. On top of that, Raikkonen did his fastest lap on the 23rd lap of his last stint on medium tyres while Alonso did his on the 14th lap of his last stint. Alonso was chasing Raikkonen so had everything to go for and his tyres gave up first. Put that all together and it suggests a) that the Lotus is very kind to its tyres; b) that we have not seen its true race pace yet; and therefore c) it was almost certainly the fastest race car in Melbourne. The big shock was perhaps the lack of pace of the Red Bull in the race, considering its superiority in practice and qualifying. Red Bull struggled on race day and their car - particularly Vettel's - was probably as aggressive on the tyres as any car out there. They certainly have a car for qualifying but it looks as if they may just have to give a little bit of that away to help them on Sunday afternoon, which after all is when the points are handed out. Analysing the race like this does not make any better reading for McLaren . They were just not fast enough and if you actually take into account some of their strategy calls there is even more to be concerned about. For example, they put Sergio Perez on super-soft tyres for his second stint when they should have saved them for the final stint. 1) That's when the car is at its lightest, and therefore able to keep the fragile softest tyre alive for longest. 2) It was a very overcast day and if it had rained it would have meant they did not need to use them at all - a good idea when they were as weak a race tyre as they turned out to be in Melbourne. The numbers make two other things obvious - Force India benefited strongly from their two-stop strategy; and Jean-Eric Vergne and Toro Rosso will also be in the mix when they get their act together in qualifying. Malaysia this weekend will provide another snapshot - and after that race I will look at this again to try to uncover some more hidden secrets. It looks as if it is going to be a very competitive season so it will be fascinating to see who comes out on top of the pile this weekend. good that he did not fall this time!